This vr headset is very nuts and bolts with a very solid design no idp adjustments needed the lenses are big enough to fit on any head, so your getting a pretty solid hdm. Language:simplified Chinese, traditional Chinese, Spanish, English, French, Portuguese, German, Italian, polish, Russian, Japanese, Korean, Thai, Arabic, Persian, Malaysia. 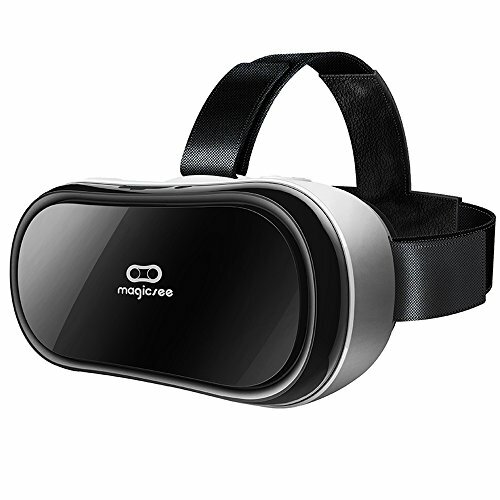 Glasses with a 4000MAH Li-polymer batteries,can play about 2.5 hours.Hundreds of VR apps,you can download and install game and other normal applications from App Store and Google Play. NOTE: SCREEN RESOLUTION IS 1920*1080 3D split screen!! Different VIDEO SOURCE' image may look BLURRY,it's nomal not defect!!! If you have any questions about this product by HYON, contact us by completing and submitting the form below. If you are looking for a specif part number, please include it with your message.